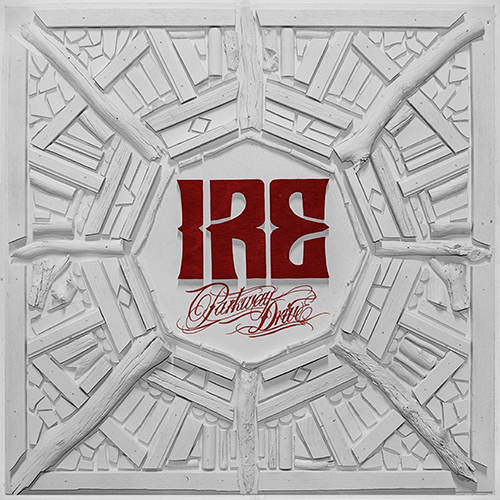 Australian rockers Parkway Drive released Ire, their fifth album, on Sept. 25 via Epitaph Records. “Destroyer” is a pretty good album opener. This song is about the current state of mankind and how society has become enslaved to a master who is leading it down a path of destruction. The chorus talks about how society turns a blind eye to the fact that our leaders are corrupt. As the song states, society is “a wrecking ball/In the hands of a mad man.” However, a wrecking ball is incapable of demolishing anything without having a crane operator behind it. If society wants to prevent demolition caused by the wrecking ball, then society needs to revolt and take away the power from the mad man who is operating the crane. “Dying to Believe” is faster paced in tempo compared to “Destroyer.” The album begins to pick up pace on this track. Winston McCall, Parkway Drive vocalist, sounds more like Lamb of God’s singer, Randy Blythe, on this track. The line from the chorus “die, die, dying to believe” may remind listeners of when Metallica covered the Misfits “Die, Die My Darling” on their 1999 album, Garage Inc.
“Vice Grip” is the first single released off of Ire. This song returns to the slower paced tempo that the album begins with on “Destroyer.” The band Wovenwar comes to mind when listening to this song, which consists of the four remaining members of As I Lay Dying with Shane Blay, the ex-vocalist of Oh, Sleeper. This song reinstates the same message from “Destroyer.” As members of society, we are literally and figuratively enslaved by our masters. The only options that society has are to either break free from the restraints or continue down the path of obedience and become a victim of the world that we live in. “Fractures” is a good track. McCall attempts to get listeners to question which is more valuable: wealth or their own souls? If listeners come to the conclusion that their souls are more valuable than materialistic things, then McCall encourages them to change their ways before time runs out. McCall states “the devil’s at our door/Selling fool’s gold and a miracle cure.” Just because someone knocks at our door that does not mean that we have to answer it. Just because someone attempts to sell you something does not dictate that you have to buy anything. The only negative thing about this song is the cool guitar solo at the end of the track getting cut short. Jeffrey Ling’s guitar solo should have gotten extended. George Hadji-Christou, who produced the album, should have waited until the guitar solo was over to fade the track out. In conclusion, if you are a member of society who has been convinced that everything our masters have told us is factual, then you probably will not like this album. Ire is an album that is meant for listeners who doubt the tyrants that control society. Do not assume that things are true just because we have been force-fed this “truth” all of our lives. Although the truth may not be immediately obvious, discovering the truth is more valuable than following an oppressive, dishonest agenda.